I brewed another batch of my ESB back on April 22nd, first batch in a few months as I've been busy. I made a bit of a rookie error, leaving the carboy uncovered in a room that gets a bit of morning sun, so this batch might turn out a bit skunky; we shall see. After a week of primary, I transferred it to our new place, and jostling/moving the carboy much is also something one typically does not do with a fermenting beer. To cap it off, we have a couple days of greater than 80-degree weather, which also isn't great for ESB yeast. I don't have high hopes for this poor little batch, but it's a good way to get my feet wet again after a few months off. 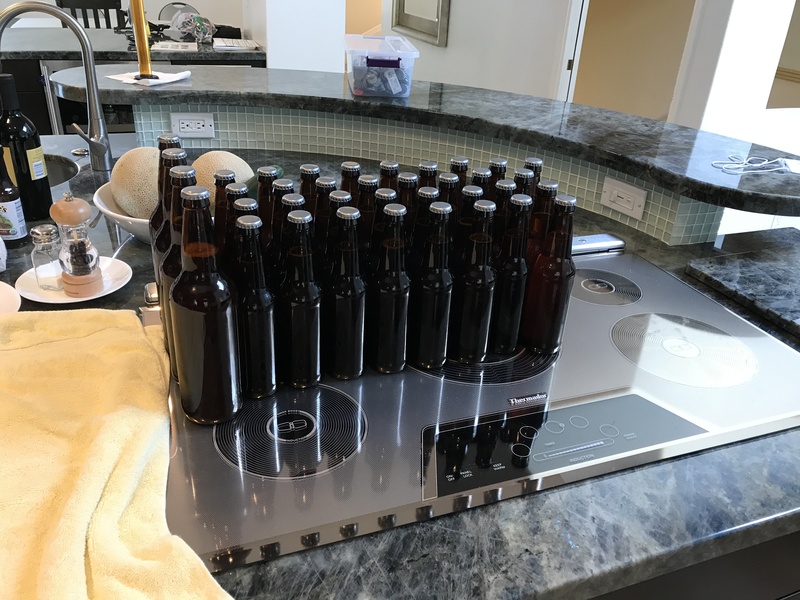 Today I bottled that batch, first time bottling at the new place. It went well, and Jujie helped me bottle and cap. I had been a bit worried about bottling at the new place, since really it's a nice place, with hardwood floors in the kitchen, and I didn't want to spill anything, but it turned out well. I had a bit to taste from the hydrometer flask, and it was actually fairly yummy, although I thought I sensed a bit of skunk in the nose, which may or may not have been my imagination. 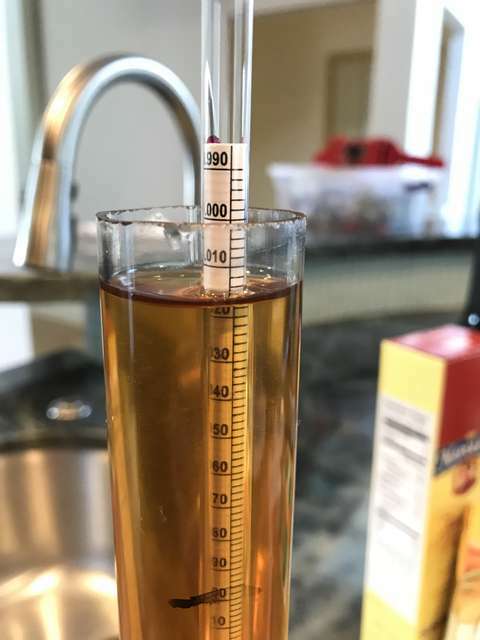 I'll give it a couple weeks bottle conditioning, and we shall see how it comes out.